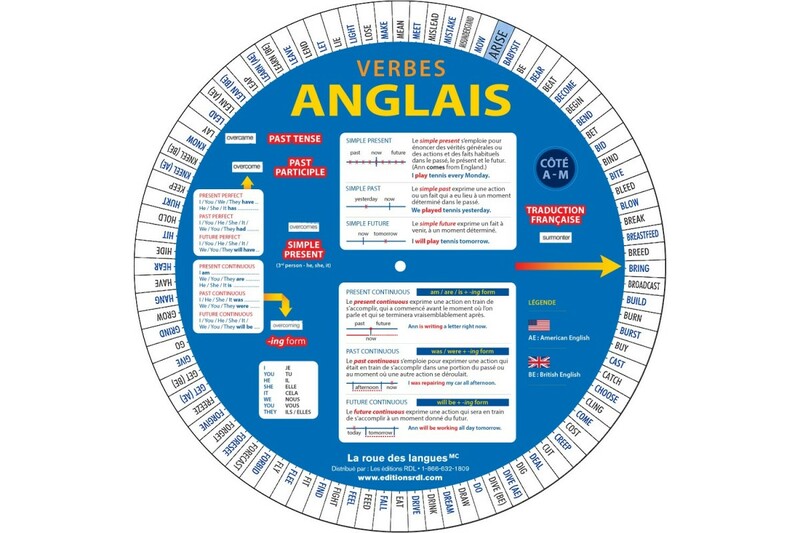 Conjugating verbs in English has never been so easy and as much fun! For learning more than 400 basic words in English in a flash! 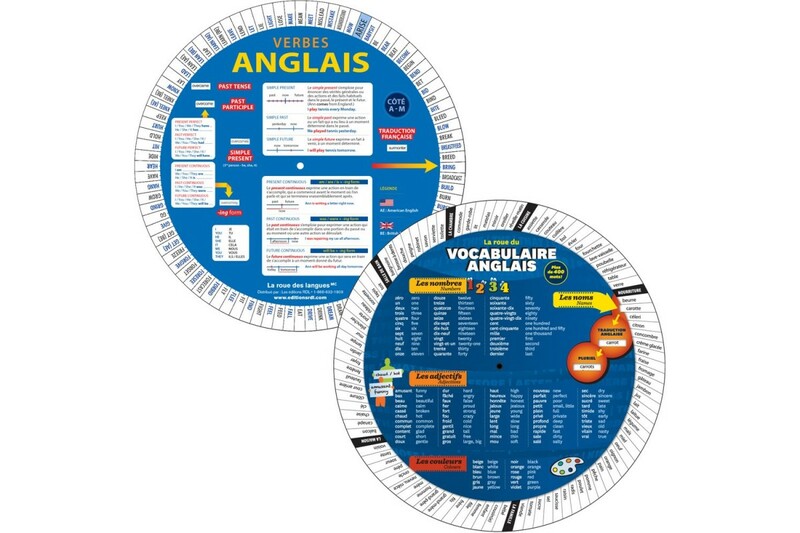 Designed for French speakers learning English. 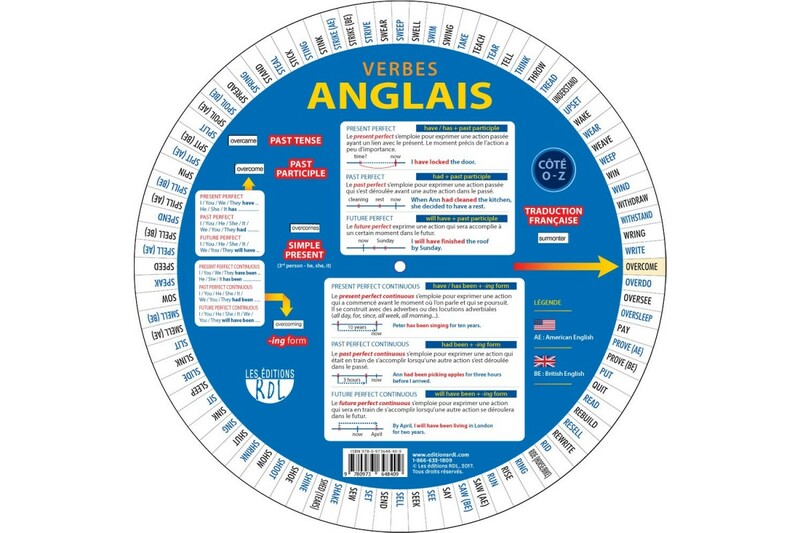 Conjugating English verbs has never been easier or more fun! 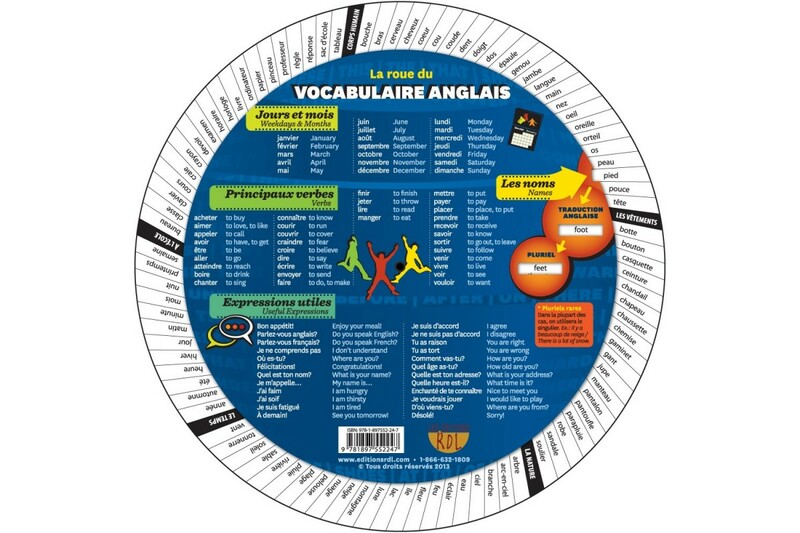 With this wheel, students can learn more than 400 basic words in English easily and quickly. 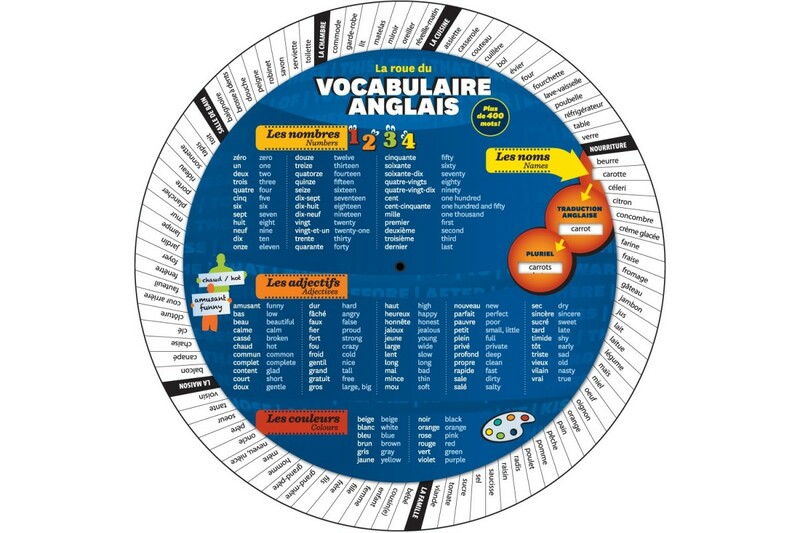 Just spin the wheel, point the arrow to a noun and see its translation in the singular and plural.